While wandering through forests, villages, and mountain tunnels,prepare for anything with the Wizard Cloak. 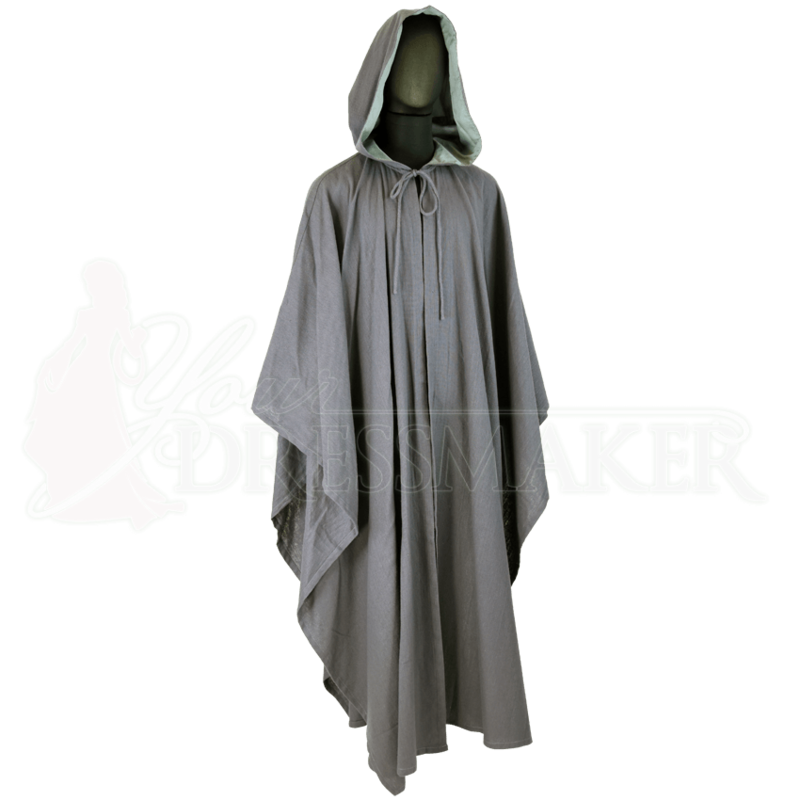 Made of a woven cotton, thiscloak is full length at the front and back with its shortened sidesending at arms length, so you can easily move your hands for spellcasting or sword wielding. 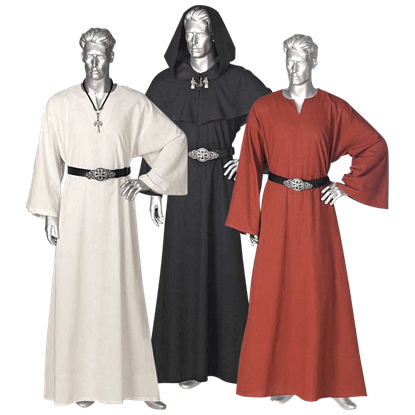 The roomy hood is lined with satin for atouch of noble style, and cords at the neck can be tied to secure thecloak in place. 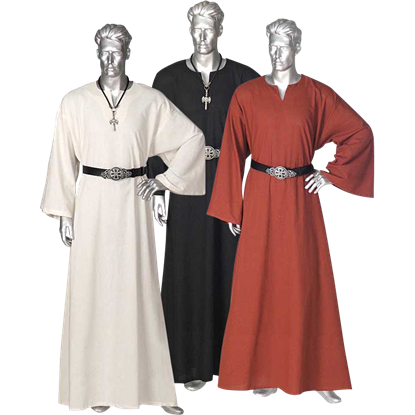 A versatile addition to fantasy and reenactmentwardrobes, be sure to take this medieval cloak along on your next epicadventure. Wear it with our Wizard Robe (MCI-508) for a truly magicallook! 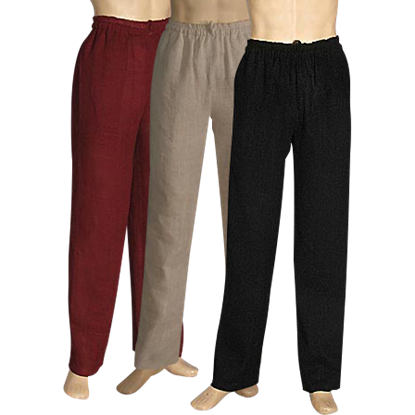 Fantastic overall, it will work perfectly for my Halloween costume. An adventuring wizard ought to dress the part. 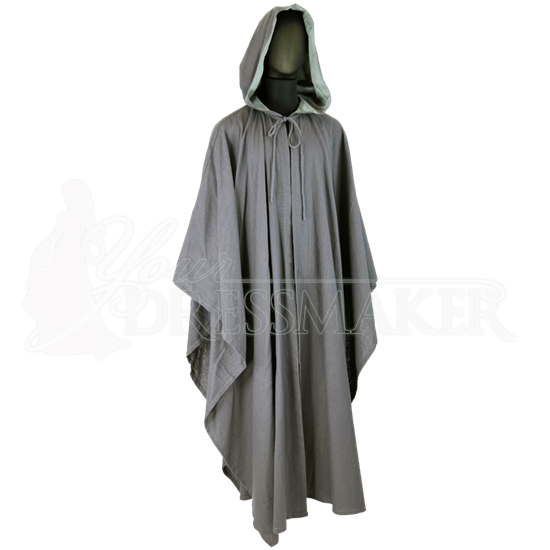 Wear the Wizard Robe to get the look of a wise mage straight out of your favorite fantasy realm. 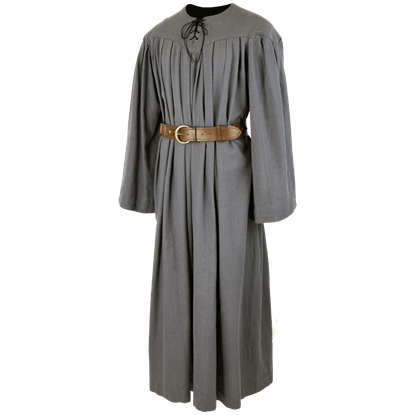 This long robe is made of an authentic-style woven cotton for a suitably rustic aesthetic. This simple yet rugged shirt is the perfect choice for hunters and adventurers of all sorts! 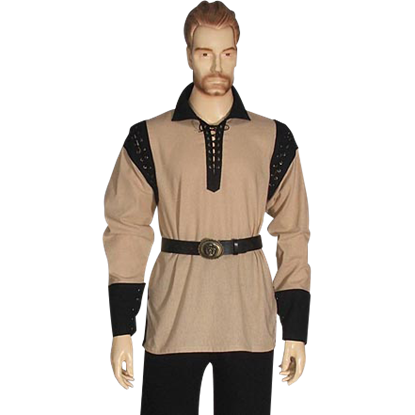 Made from medium weight cotton, the Rogue Hunter Shirt is an efficient garment that is nothing short of a must-have for any medieval wardrobe.